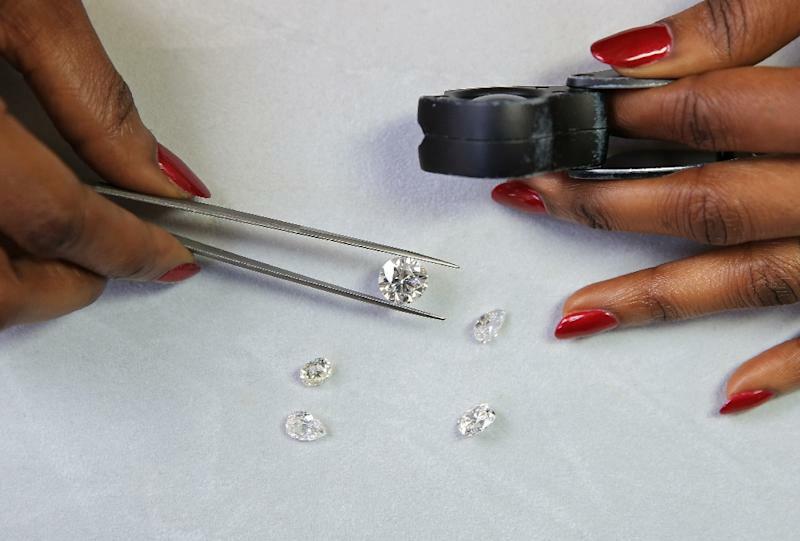 London (AFP) - Nigerian Thelma West is a rare gem in the diamond world as a woman in a male-dominated sector with few Africans, despite the continent being the main source of the precious rocks. The first in her family to work in diamonds, West is used to being an outsider, having been raised in a Jewish family in a country where Jews number fewer than 50,000 out of a population of around 180 million. 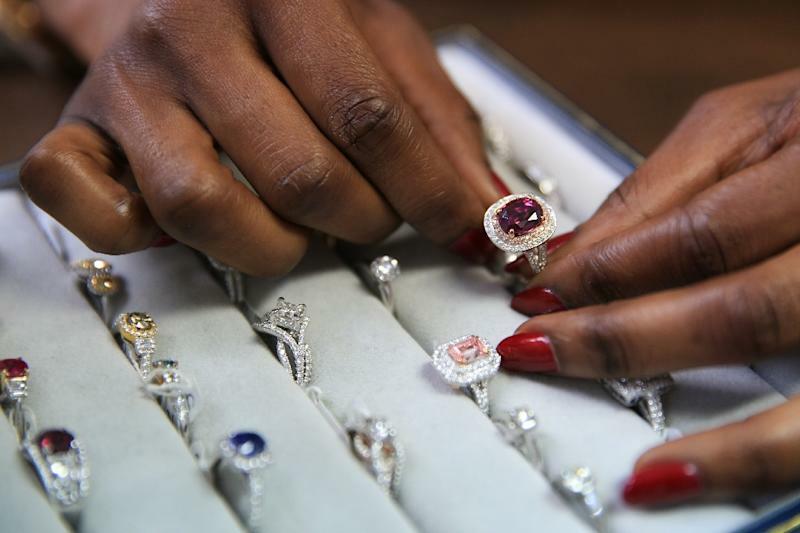 "I'm the only Nigerian Jewish woman in the trade, and I don't know of other African women in the business," the 32-year-old told AFP at her London-based business as she greeted customers with a broad smile and sparkling diamonds on her hands and wrists. Discretion and security are essential, with the anonymous-looking building guarded by an encrypted intercom system and a reinforced door, all under the gaze of a bank of security cameras. After attending the most prestigious international school in Lagos, West travelled to Britain aged 16 to finish her education. "I wanted to become an engineer because at that time in Nigeria, you had to choose a solid career, such as doctor, lawyer, engineer," she told AFP. 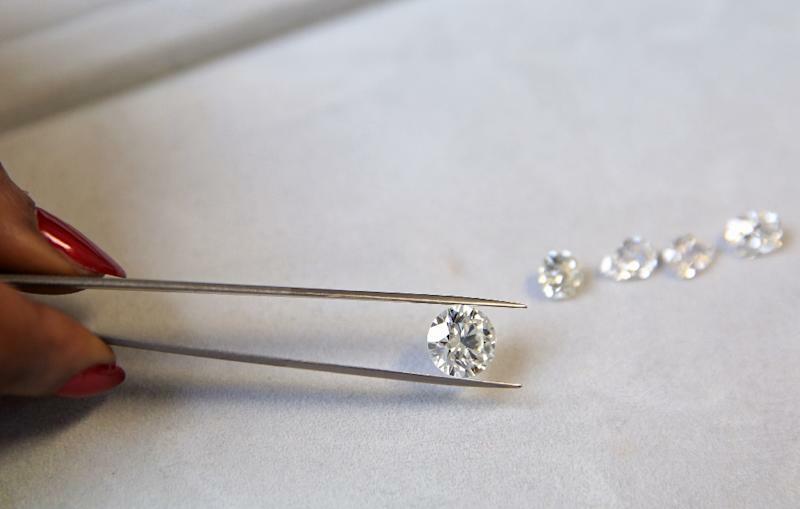 But, as the saying goes, "Diamonds Are Forever" and the sparkle of the stones, which had captivated West since childhood, was an irresistible allure. "My mum had loads of jewellery," said the daughter of a Guinness drinks company employee mother and a property developer and industrialist father. "We were always playing with her jewellery box and she would always clean her jewels, and I would help." West headed for Antwerp, the world's diamond capital, aged 17 despite "not knowing anybody" in the Belgian city. There, she enrolled at the internationally renowned Hoge Raad Voor Diamant school to hone her skills. "Even though you go to school, most of your knowledge comes from working with diamonds day-to-day," she said. After trying for six months in vain to secure an internship, she was eventually taken under the wing of an Orthodox Jew diamond dealer, who worked with her every evening after school for a year. She was then recruited by one of the biggest diamond suppliers in Europe based in ​​Spain. "It was being sent in at the deep end," she recalled. "I was 19 and I was responsible for every single diamond the company had". Teaming up with school friends from Lagos who had moved into investment banking, West set up her own business in London to trade the precious stone. Metal tongs in hand, West explained the secrets of some of her stock. "Diamonds have fire," said West. "That stone is too flat but it's got a lot of life in it, it was cut about 100 years ago," she said, pointing to one tiny rock. "This one cost just over £100,000 ($141,000, 126,000 euros), it's got a low colour but it has been cut perfectly so it reflects light in such an amazing way." Fewer than 50 clients, 12 of whom are investors, have access to West's knowledge. "I can find a diamond and call them and say 'we have to buy this diamond, trust me' and they follow me," she said. Her multinational client base -- introduced by word-of-mouth -- includes Swiss, Russians, Ghanaians, Nigerians and "a handful of French". Helped by a 10-woman team, West creates all of her company's products, which come with a lifetime guarantee. Her most ambitious creation was a custom-made necklace worth around £2 million. She plans to open a workshop in Nigeria, "where I'll train girls in the art of making jewellery". West gives little away but also said she is creating "a revolutionary tool" that will help people in her business. "That tool should be part of every diamond dealer and every shop".